Listening. Is it a lost art? I recently saw a small poster on Facebook: “Listen and Silent are spelled with the same letters—think about it J” When it comes to singing, whether alone or in groups, much could be solved by simply doing a better job of listening. As singers we need to make sure we get personal feedback with regard to our singing. We need to record-a lot (and listen to it!). We need to ask others for honest feedback and we need to sift through the information we get (not all of it will be valuable). We also need to pay attention AS WE SING. I know it sounds really simple, but the truth of the matter is; most of us are lazy listeners when it comes to singing. We don’t put much effort into listening, certainly not as much as we put into singing. Much of singing is about pitch and tone. When we sing, there are many muscles involved, none the least of which are related to the formation of pitch. The more we sing, the more we create solidified, concrete muscle memory. If we form this memory correctly, by singing in proper tune, the easier it becomes for us to recall and recreate the pitch when we want to. Conversely, if we have been sloppy with our pitch, we will find it easier to recall the improper pitches we have memorized. For purposes of this article, I am going to make a distinction between “group singing” and singing with one other person. Some things are applicable to both of course but, depending on style and function, there are some things that are unique to duet singing. Most of the time, when we sing with someone else, we try to focus on blend. However, there may be times when you want to focus on the distinct differences in your voices or styles—this is layering. Listening to each other should always be the starting point. How are your voices the same? How are they different? How can we sing together to highlight each other’s strengths without competing? This is effective partnering and it starts with careful listening. Much can be accomplished by creative arrangement and thoughtful listening. There are plenty of examples of popular duets that do this very well, and it’s especially apparent when the duet is between a man and a woman. One example that comes to mind is “Endless Love” with Lionel Richie and Diana Ross. To me this is a perfect example of two people completely maintaining their own personal style while at the same time being 100% tuned in to and listening to each other. There are also times when the perfect blending of two voices can be the most powerful expression. A couple of examples of two superstars coming together with perfect blend despite completely different styles are “No More Tears (Enough is Enough)” with Donna Summers & Barbra Streisand and “The Girl is Mine” with Michael Jackson and Paul McCartney. Impressive. And if you’re looking for a fun example of a male female duet where the blend is superb, check out “The Prayer” with Donnie Mcclurkin & Yolanda Adams (Donnie is just such a fabulous singer anyway!). If you want to see a contrast, compare Celine Dion’s versions of the same song (The Prayer) either with Andrea Bocelli or Josh Groban—neither version blends as beautifully as Donnie and Yolanda’s in my opinion. Either way you choose to go: blending or layering, the bottom line is that you need to focus more on listening and less on singing (especially while practicing) in order to accomplish an effective partnership and a powerful end product. Listening also includes watching your partner closely: listening with your eyes. Starting and stopping together, breathing together, enunciating together and emoting in a unified yet complimentary way. It’s even important to make sure that you deliver the song in the same way, checking that you each emphasize the words in the way they were meant to be spoken-not just sung. One popular song right now is actually comical in the inconsistent way the performer pronounces the main word in the song shifting emphasis on the syllables from “Un-con-di-TION-al” un-CON-di-tion-al”. How would you speak this word? That is how you should sing it. Group singing is all about blend; “E Pluribus Unum” which is Latin for “out of many, one”. We want the power of multiple voices and multiple parts without a sense of the “multiple”. How do we achieve this? By listening to each other. It really is that simple—it starts there anyway. Blend has to do with other things as well of course. In my video entitled “How to be an Effective Background Vocalist” I outline several things that can help a group to achieve a good blend but at the core of it all, listening is the most important requirement. When I get asked to work with a church’s team, typically the thing I need to do is to stop the singers and make them listen to each other. Most singers, if they have even a rudimentary level of control of their voices, can affect their tone to a degree. When I cause team members to stop and look/listen to each other they almost always instinctively have a sense of what to do to create a better blend. 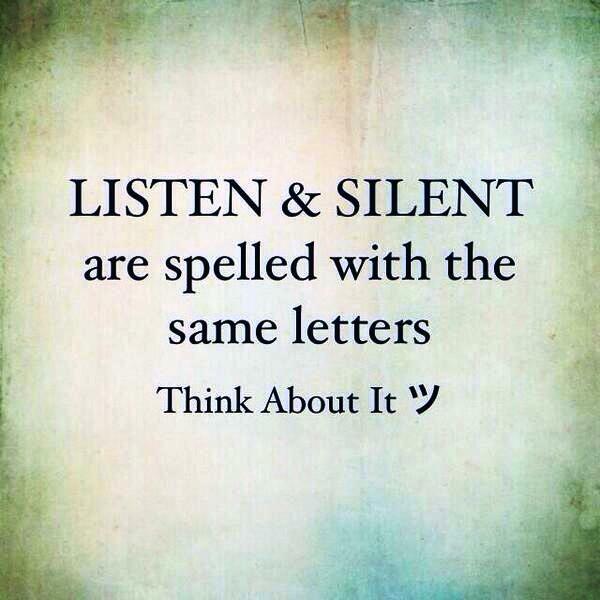 Just the process of making the effort to emphasize listening usually has a significant impact on the sound of a group. Sometimes I will break the group down to just two people to start with. Then, once they’ve learned to listen and blend with each other, I will add one more to the mix until the three of them are listening and blending, then I’ll add one more etc.. There are two different kinds of listening as a singer. There is the listening that you do while you are actually singing and there is the listening you do afterward (via a recording). Both are essential to growth. I would like to leave you a thought; don’t try to be the singer and the audience at the same time. It may sound contradictory to what I’ve been saying about listening carefully, but you should do the vast majority of your learning/evaluation listening when you are in the “practice mode” of singing. That is where you want to lay your foundation, create a positive muscle memory, etc Once you move into “performance mode”, although you HAVE to make listening to yourself a top priority, you must be careful to give out to your audience, not just focus inwardly. Additionally, you cannot continue to try to step into the audience’s shoes and try to assess yourself throughout your presentation. It will affect your performance negatively if you do. Practice to the best of your ability and then go out there and give your all. Stop judging yourself as you sing-just sing. Everyone will benefit from this. You’ll be focused on singing (and communicating) instead of critiquing so you are bound to do a better job! Hi Sheri: I’ll be passing this article on to Penny. We’ve not been singing as much as in the past and boy does it show (or hear)…….We’ve both become even more “pitchy” than before and it’s something we definitely need to work on. Can we blame “old age” ????? ?